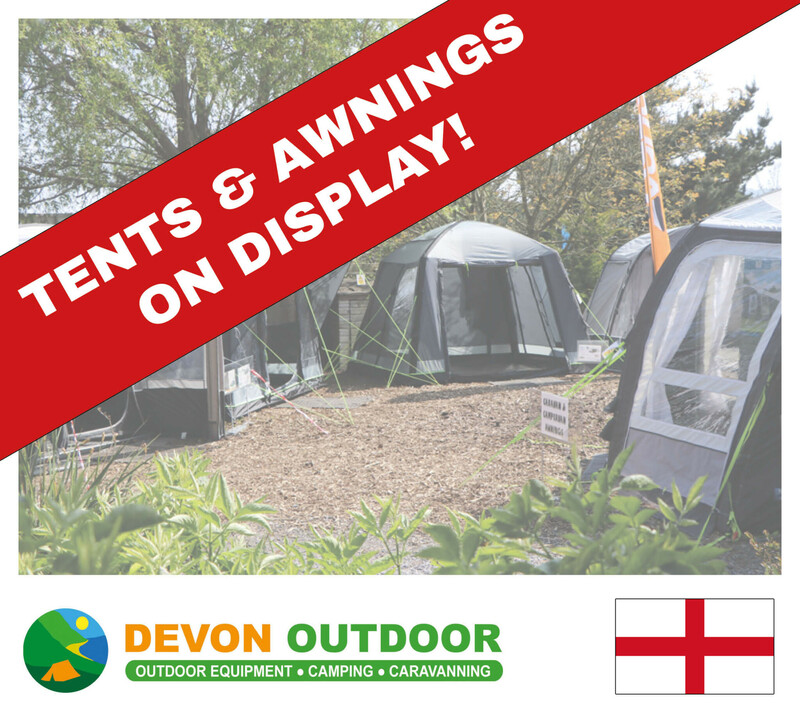 Outdoor display of Tents & Awnings - Visit Us! Come and field test our selection of branded tents, and caravan, vehicle and driveway awnings. We erect a wide range of styles, types and sizes, so that you can walk around and make the correct choice. As a family business, we have first hand experience of our stock. This enables us to offer friendly and helpful service and advice. You can buy our stock either online or in one of our shops. Our branded vehicle awnings are suitable for most vehicle makes including VW and Bongo campervans as well as motorhomes and coach built motorhomes. As well as our outdoor displays, we can regularly be found at local camping shows and exhibition. Find us on Facebook to see where we will be exhibiting. It's not all about air! We continue to see a good range of poled products at prices to suit all pockets. The more traditional pole tent and awning gives a more rigid structure, and allows you to have a lot larger tent than an inflatable equivalent. Wander around our selection of pole tents, and make an informed decision. As a family business, we have been camping in a variety of tents with families of all ages. We can advise on what is best for you. Quick to erect and put up, these modern awnings and tents save you time, while still giving you the reliability and space you need at a price for all pockets. Hassle free pump up, we erect our inflatable tents & awnings at the beginning of the season and they remain in place through all weather conditions. 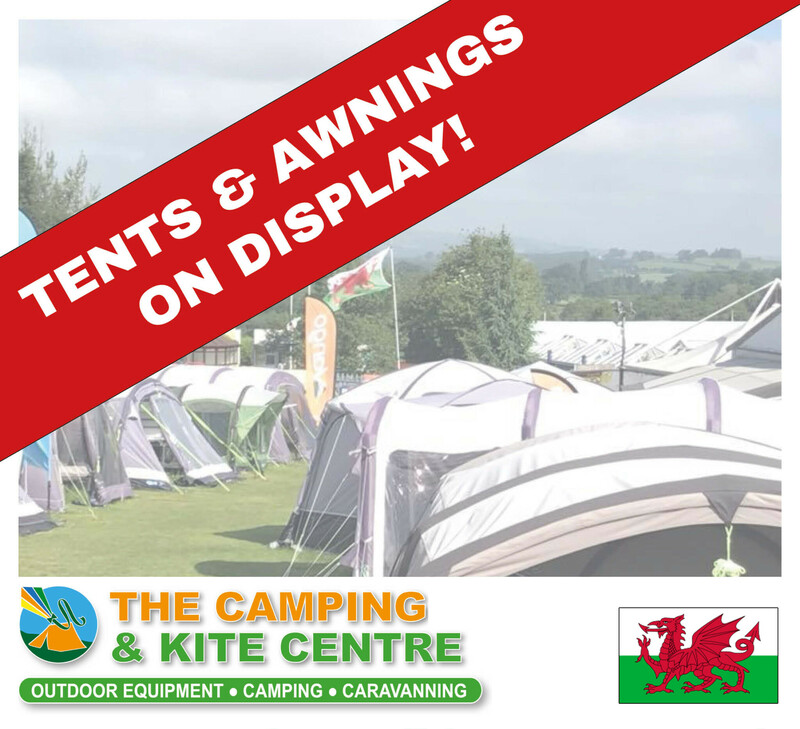 Come and see brands such as Vango AirBeam, Kampa AIR, Outwell, Outdoor Revolution and Coleman. Contact one of our shops in Devon or Wales to find out what we have on display or click on the shop below to get directions to our displays.